Colour Me Purple: We Are In Love With These Celebrities Sporting The Lavender Eye Look! We’ve loved our pastel lavender highlighters for a while now. Since Aishwarya’s lavender lip look at Cannes Film Festival 2016, we have been on an amethyst trail. 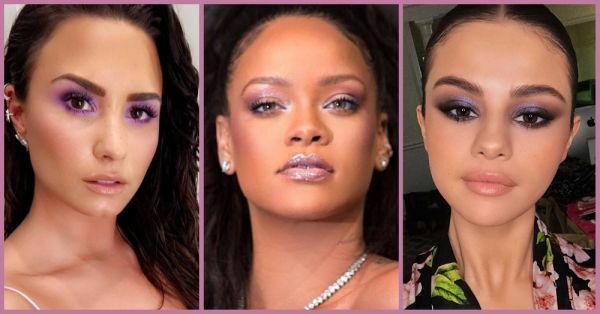 Recently, both Demi Lovato and Selena Gomez were spotted wearing lavender eyeshadow at an award show. Rihanna sported the purple eye for one of her Fenty Beauty launch parties and Rita Ora flaunted the shade at her MTV TRL visit. The trend can be associated with the Unicorn culture that’s on the rise with brands like Too Faced and Wet ‘n’ Wild launching their beauty kits inspired by the mythical and gorgeous creature. Lavender as a shade symbolises femininity, it is edgy and chic at the same time. Demi Lovato’s lavender-shadow look which was inspired by her too ‘cool for the summer’ vibe, done by the brilliant make-up artist Jill Powell. For the look Jill mixed Make Up For Ever Aqua XL Color Paint Shadows in M-90 Matte Purple and I-80 Iridescent Pink Beige, to create the vibrant purple hue. It was then topped off with Amethyst from Kat Von D’s Alchemist Holographic Palette to create an iridescent finish. To try the look, Powell suggested in one of her interviews to keep rest of the make-up low-key. 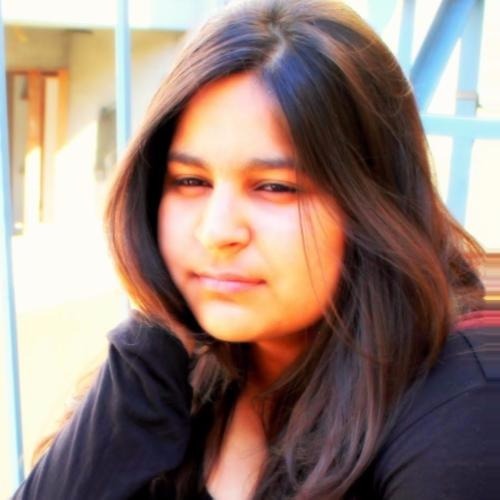 “I love to keep focus on one area for the most part. When bringing in colorful shadows, I love to keep the rest of the face more natural so it acts as the backdrop for the colorful shadows,” she shared. The lavender look comes out best on brown eyes. Bonus: all skin tones can pull it off as long as you work with the depth of your tone. “Lighter skin tones should use lighter shades, and deeper skin tones should use deeper hues to coincide with the depth of their skin and avoid looking too light or ashy,” she advised.